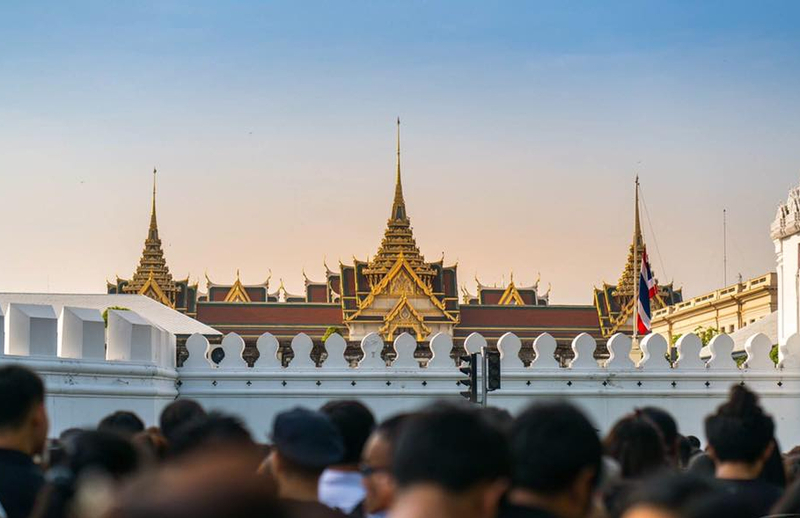 The passing of Thailand’s King Bhumibol Adulyadej marks a historical, cultural, and geopolitical event of yet unknown proportions. 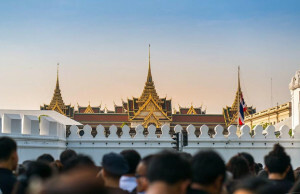 His time as Thailand’s head of state spanned decades, and the stabilizing progressive nature of his reign has transformed Thailand into an economically and culturally significant center of power within Southeast Asia and in Asia itself. With his passing, the Western media, long attempting to undermine him in life, took the opportunity to defame him in death, claiming he resided over a “divided” nation bound to unravel with his passing. They also took the opportunity to defame and distort the character of King Bhumibol Adulyadej’s heir, Prince Maha Vajiralongkorn. Despite the baseless gossip and speculation about the Prince’s private life, his public life has been marked with distinction in service to the nation, serving as a special forces operator in combat along Thailand’s borders, a trained pilot, and a regular figure presiding over public functions. Like his father, the Prince’s role in Thai society is not determined by the Western media and the perception they dishonestly try to foster before their intentionally ill-informed audiences, but by the Thai people themselves. And during the days of mourning following the late King’s death, it has become abundantly clear that the vast majority of Thais are committed to preserving their ancient institutions, understanding them by far more deeply than the Western media has presented. Undeterred, the West, and the United States specifically, seeks an opportunity to disrupt and destabilize Southeast Asia as a means of disrupting China’s growing influence in the region as well as Beijing’s growing ties to its regional neighbors. Already cultivating opposition fronts and faux-nongovernmental organizations (NGOs) region wide, funded by the US State Department itself, the US believes that Thailand is experiencing a vulnerable moment of weakness it can use to create a domino effect of destabilization across the entire region. The CFR “Sees” Instability Coming, or Advocates it? US corporate-financier funded Council on Foreign Relations senior fellow Joshua Kurlantzick fashions himself a geopolitical analyst. However he has been categorically wrong about virtually every paper he has written while “analyzing” and “predicting” the course of events in his area of specialty, Southeast Asia. And while he may fashion himself as an analyst for whatever reason, it is clear that he is instead a policy advocate as well as a reliable bellwether for US attempts to destabilize various states in Southeast Asia. Bhumibol’s death further destabilizes an already unstable region. Malaysian Prime Minister Najib Razak is mired in a corruption scandal, while former Prime Minister Mahathir Mohamad recently founded a new political party, which may ally itself with longtime opposition leader Anwar Ibrahim’s party, despite Mahathir having once purged Ibrahim from the government. Until national elections, Malaysian politics will likely get messier, and potentially more repressive. In the Philippines, President Rodrigo Duterte, in power since June, has sent shockwaves across Southeast Asia by denouncing the US, inching closer to China, and calling for the end to American-Philippine joint military exercises. Moreover, Duterte has launched a drug war that has brought on a wave of extrajudicial killings. Kurlantzick predicates his entire analysis regarding Thailand on the demonstrably false narrative of a “divided” Thailand featuring the” rural poor” constituting an aspiring majority on one side, and an “elitist” minority clinging to power on the other. Both in 2011 and again in 2013-2014, Kurlantzick’s narrative was put to the test and failed both times. In 2011, elections may have propelled the sister of US-backed, ousted ex-prime minister Thaksin Shinawatra into power, but election results revealed that Shinawatra’s party failed to receive even a popular majority, and out of all eligible voters, fewer than 35% of the voting population cast votes in favor of him. In 2013-2014 when massive street protests sought the ousting of Shianwatra’s sister who openly ruled as a proxy for her brother, Shinawatra failed to produce an equal or greater number of protesters to secure his sister’s political power. In reality, Kurlantzick’s “opposition” constitutes a violent, unpopular, but load minority, feared for their proclivity toward terrorism, and reviled for their disruptive behavior. Like other US-backed opposition fronts in the region and around the world, they are only made to appear a “majority” through the influence of the Western media and the financial support of the US government. It should be noted that Kurlantzick is not a lone voice repeating this narrative. It has been repeated ad naseum for years across the entirety of the Western media, and with the King’s passing, amplified even greater. If Asia is to be destabilized “serendipitously” in service of American desires to disrupt and roll back China’s growing influence as well as a trend toward greater regional independence from Asia’s Transpacific neighbor, it will be a product of not genuine internal strife across the region, but a manifestation of US-backed political parties, US-funded NGOs and media organizations, and the Western media itself sowing ignorance, fear, and division among all who read and believe their message. For Asia to ensure stability to not only preserve economic growth, but as a matter of regional and respective national security, greater effort must be placed in reining in foreign-funded NGOs, regulating a foreign media increasingly engaged in open lobbying rather than journalism, and efforts to displace them with superior, effective media networks serving national and regional interests rather than aspiring toward Western approval and integration. The United States is engaged in increasingly dangerous behavior worldwide as the boundaries of its global-spanning hegemony chaff against multiple emerging regional and world powers. For Asia, and having witnessed the cost of inviting regional instability in North Africa and the Middle East, there is no choice but to take what steps are necessary to head off this agenda before it is even set in motion.